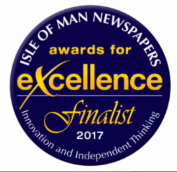 The Isle of Man’s award winning Audiology Department provides a comprehensive hearing and balance service for the whole of the island. We are small team of experienced clinical audiologists, assistant audiologists, administrative staff who are supported by trained ‘Hear2Help’ volunteers and healthcare assistants. Services are provided for both adults and children and include hearing diagnostic testing & counselling for hearing impaired individuals, provision of digital hearing aids, balance testing and Tinnitus Counselling. Children’s Audiology is based at the Central Community Health Centre in Westmoreland Road whereas the main Audiology clinic is at Nobles Hospital in Strang. There are also outreach clinics in Port St Mary and Ramsey Cottage Hospital providing support for Adult Hearing aid users. There are lifts available by A&E to take you to the 1st floor. Audiology is adjacent to Suite F in the West Wing marked as yellow on the floor plan. Children’s Audiology is in the building next door to the Kensington Medical Practice. Turn right as you walk through the main entrance and you will see Children’s Audiology signposted.